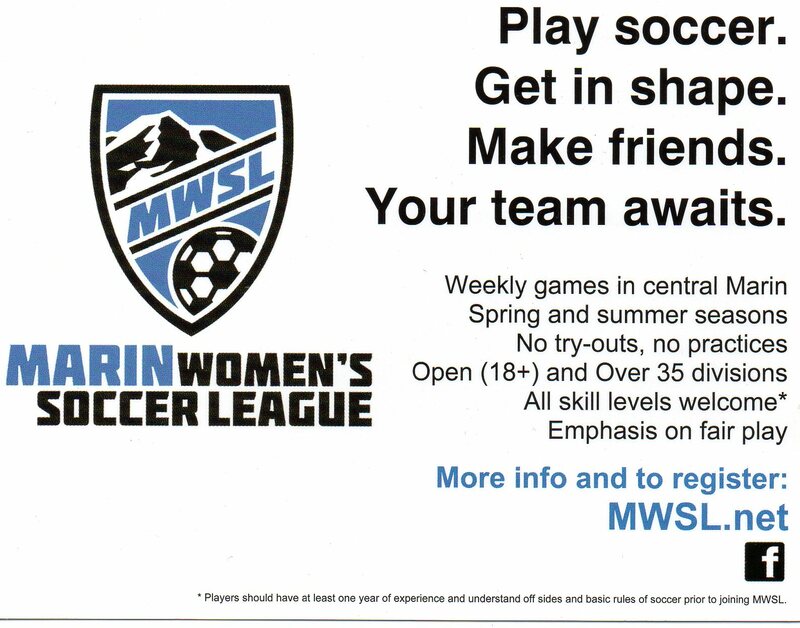 Looking for a chance to play soccer over the winter? Here are two indoor soccer programs to consider. Ladies - you can play! Local league offers: Open division and Over 35 divisions play two seasons: spring and summer. Street Soccer - new park opened outside Country Club Bowl, San Rafael. Drop in, co-ed leagues, kids leagues- by the hour, or by the season. Check it out! There are many clubs for competitive players. Check out some of these in Marin County.